Safe and Hygiene – PP material, CE, RoHS approved. Different from the most of the sucker in market which has hard plastic shell plus silicone gasket practice. 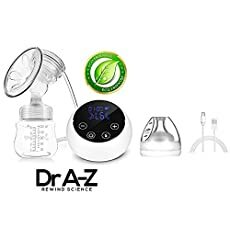 Our bottle is made of PP material and has silicone sucker,the process of our feeder is like mouth sucking. 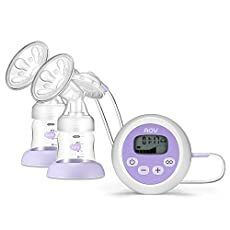 One way flow design also avoids the contamination caused by milk reflux. 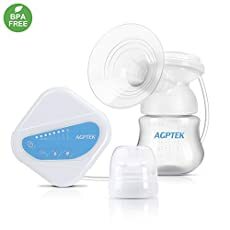 ☛ 100% safe , BPA free Tested`→ All parts that contact the milk are made of BPA free materials, FDA Tested , CE/ RoHs approved. 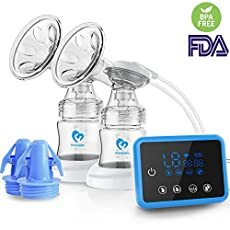 ☛ 9 suction levels, 3 massage levels → FC-801 adopts the strong vacuum, moms can choose the best level according the sucking feeling. 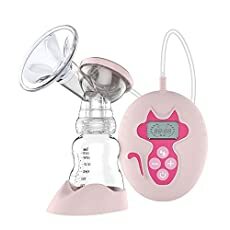 One button change to massage for promoting lactation. 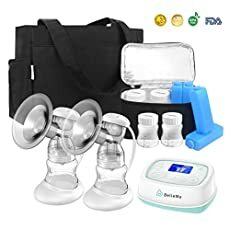 【ELECTRIC DOUBLE BREAST PUMP】: AOV electric breast pumps has 9 suction power settings adjustable,1- 4 massage mode，5-9 mimic baby sucking breast,sucking two side at once,One button to switch ,simple operation. 【ANTI-BACKFLOW DESIGN】：Protect the mainframe,extend the service life.  Come with 2 pcs of milk storage bag adapters and 10 pcs of storage bag,moms can express to the milk storage bags directly by the adapters. 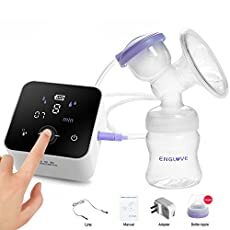  our modes and 9 levels of suction for choice,massage and stimulate breasts before pumping,comfortable and pain free. 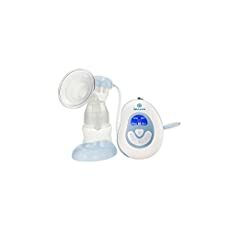 PROVEN SAFETY – Dr A-Z Breast pump is TSA, FDA approved, BPA free. Bottle can be completely disassembled and cleaned without any leaving no spots or corners untouched . The exhaust film completely isolates the air from the emulsion to avoid contamination. 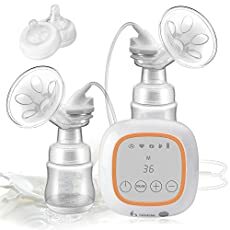 MOST VALUE MONEY BREAMILK SRORE PUMP – Silicone Breast Pumps to collect breast milk leaks and relieve engorgement using pure natural suction pressure and breast pump stopper to stop mlik leakage .Every ouch of breast milk is precious. Save it for your baby. 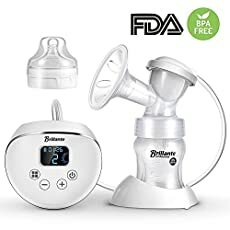 Recommended by lactation haakaa mama and nurses from USA family and Health Presbyterian Hospital. 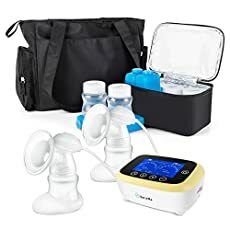 Portable Design with Rechargeable Battery: Compact and slim, lightweight design(only 2.2 pounds), USB charger, can be charged by power bank, computer, perfect for working mother to breastfeed during travelling.